Running a small business is no small task. Whatever industry you’re in, one of the most important questions is how can you make your product or service stand out among the competition? Needless to say that trying to compete with the big-box stores and large corporations in terms of pricing is fighting a losing battle. 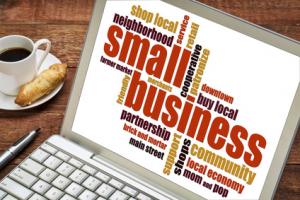 The good news is that you still can differentiate yourself from larger competitors by embracing the benefits of a small business. One of the few ways small businesses can outshine the competitors is focusing on delivering excellent customer service. Indeed, your attitude towards your customers defines everything. You can leverage your personal relationships and human touch to make your customers feel special. If you manage to put customer service at the heart of your strategy and show that your company really cares, you will build genuine long-lasting relationship with your customers. It is positive customer experience that sets you apart from the almost identical outlet down the road, and it’s vital for small businesses. If you do it right, it can provide your business with a competitive edge and help you survive in the tough economic climate we live in. In this article I’d like to share a few tips on how you can improve customer service and efficiently manage your small business. By focusing on these five areas, your small business can deliver exceptional customer experience. Do it right and your efforts will be rewarded with credible reputation, increased customer retention, and word-of-mouth referrals which will bring along the long-term success of your business. You can’t help your customer if you don’t know what they want. As Micah Solomon, a customer service expert and author of ‘High-tech high-touch customer service’ puts it in his book, customers need and desire change all the time. The most important changes are individual, and learning to treat your customers as individuals, not slices of market, honoring individual preferences unique to every customer, is a key to success. A benefit of small business is the ability to adapt quickly to meet those individual customers’ needs and preferences. In other words, it’s easier for small businesses to understand what their customers really want and use this knowledge to enhance the customer focus of their products and services. By learning who your customers are, you will be able to deliver tailored products and services that work for them. According to Jack Mitchell, the author of ‘Hug Your Customers’, selling has shifted from transactions to relationships. It has moved from a “May I help you?” transaction to “Is the new outfit for business or a special occasion?”. In staying as close as possible to the customer and focusing on their specific, personal needs you can proactively initiate the sale, anticipate what will work for them and create personalized experiences that really matter. … and you’ll find they respect you in return! In today’s hectic world no one seems to have enough time in the day to do everything on their list. And your customers’ time is just as valuable as your own. Don’t waste it by making your customers endlessly look for information or contact details they need, or wait on hold/in queues when they have a quick question. Make it easy for your customers to reach out to you and be sure to remove any barriers. Find out what communication channels your customers prefer to use and equip your customer support to handle interactions quickly and efficiently. It is important to invest time and effort into keeping up with the ever-changing world of social media and new technology. You need to do more than simply put your phone number or Live Chat on your website. Whatever communication channels you choose as a part of your customer support, make sure they are attended. When your customers call you, they should reach a live person. If they choose online communication channel, they deserve a quick response. In the new internet era, customer expectations regarding response time shifted from days to just hours or minutes. Your customer service needs to match that. The most important thing to a customer is: Did you do what you promised? Keeping your word is more than all the empathy, smiles, and chocolates on your pillow in the world, – state Carl Sewell and Paul B. Brown in ‘Customers for Life’. Doing what you’re supposed to do and when you’re supposed to do is the simplest way of providing great customer service. No more, no less. Deliver on time, or even earlier. Respond when you say you will. Be fair about prices, additional fees and extra charges. Establish clear return and refund policies. Provide the services you say you provide in your correspondence and in your marketing. Think before you give any promise – because nothing destroys trust faster than broken promises. What would you do if anything goes wrong? In ‘Customers for life’ they put it simple: First we apologize. Then we fix the problem. Immediately. These are two simple keys to handling any complaint. Make sure you sincerely regret making the mistake no matter who or what caused the problem, and then resolve it quickly. A sincere apology is extremely effective in handling negative situations because everyone makes mistakes, everyone drops the ball. What makes you different is your ability to acknowledge your mistakes, show your customers that you are concerned as much as they are, learn from the incident and correct when it happens. Make sure you listen to your customers. They are the people who want your company to perform better, and more often than not, they do have insightful ideas on how to improve your business. Follow up on every complaint, let your consumers share their opinion about their experience with you, keep open to any kind of suggestions or feedback they might have. Most of customers respond positively to an opportunity to help you improve your operations, and by acknowledging the importance of their opinion you bring along the spirit of close collaboration which is extremely important for building long-lasting successful relationships. We at Provide Support get feedback about customer support service quality and efficiency through running short customer surveys after each Live Chat session. If you would like to find out more on this feature you’re welcome to read our blog article on post-chat surveys. We would love to hear what sets your small business apart from bigger companies in your industry and how you build on those differences. If you have some useful ideas or a great story to share, you are welcome to add it through comments. Thank you for reading. This entry was posted in Articles and tagged customer service for small business, small business. Bookmark the permalink. Wonderful advices on improved customer service delivery for every one to follow in every trade or profession and cherish the endless growth for ever. Glad to convey that I will be sharing the topic with our teams across Maharashtra, Gujarath and Raipur States in India with a request to understand, practice and prosper. Business whether small or BIG, Customer is the GOD and Service is the only way to cherish prosperity. I also agree with Lava; whether small or big. Put customer service at the heart of your strategy and show that your company really cares, you will build genuine long-lasting relationship with your customers. Credible reputation, increased customer retention, and word-of-mouth referrals which will bring along the long-term success of your business. Each of the 5 ways is right on point! Thanks for sharing such a well written, right on point article. Thank you for your comment Susan, those are truly important points. Glad you enjoyed reading the post. Julia, another great article. I agree 100 percent. I’m going to have to look into those books. Knowing your customer is a key. The sales landscape has changed. Of course, it’s always evolving. With social media and so many resources to connect on a personal level with your customers, it’s crucial that you tend to their needs. This is an area that I’m learning. I’ve always worked in web development but in the end, everyone wants more sales. Nearly everyone I should say. I think a lot of people tend to focus more on sales rather then the customer. That is where they get it wrong. Know your audience better then yourself, right? As always, I can say that I truly appreciate you sharing your knowledge with us Julia. Thanks again! Well said, Good info. From the above Always get confirmation from the customer that the issue has been fixed. Don’t assume that simply telling them what to do is enough. They may be having trouble following your instructions.If you’re on the phone/in person stay with them until they’re up and running again. For email support, follow up messages you’ve sent. This final “Are you ok?” goes a long way. Thank you for your comment, David. Agree with your point. In customer service, it’s important to do what you say you will and follow through on your commitments. Very great list. Thank you Julia. These are the most effective types the companies need to follow to improve customer relations. It is more effective information. Since you mentioned that one way to improve customer service is to help customers find information faster, such as contact numbers, I believe that this can be true for employees as well. Placing a system that checks employee attendance can help improve employee productivity. This can also help generate more profit for a company.